To make your party a success, you need to choose the cake or birthday cake suitable. Here are some models inspired by Monster High. 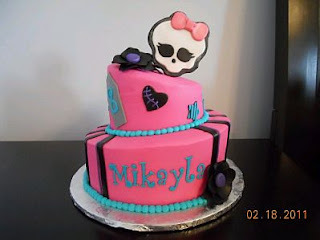 Birthday cake model two-floor, two irregularly shaped, decorated in pink, blue and black color applications, at the top you have the skull with bow feature Monster High. 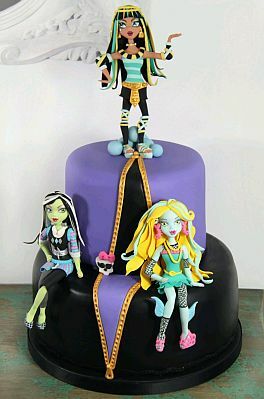 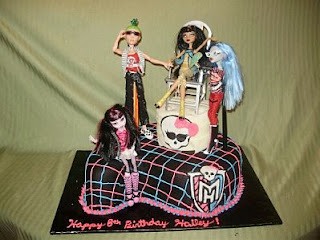 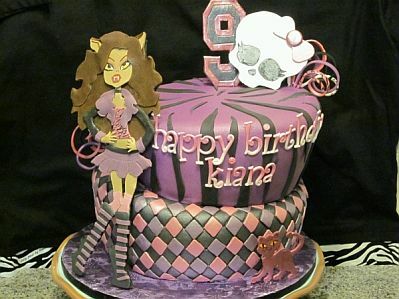 In this other model are the Monster High dolls on a cake that gives the appearance of having a tablecloth. 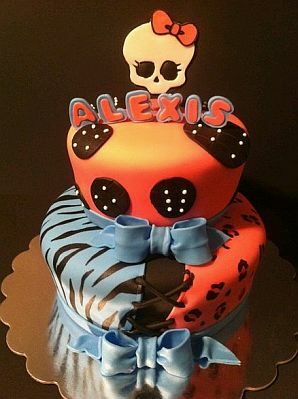 Pretty double floor cake decorated in orange, blue and applications and details in black, at the top is named after the owner of the party and the skull with bow feature Monster High. 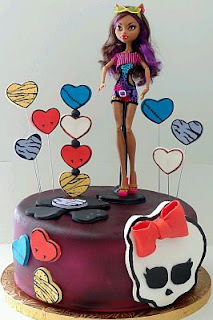 If you prefer a flat pastry, this is a good option, all decorated with colorful hearts and in the middle is one of the members of Monster High. 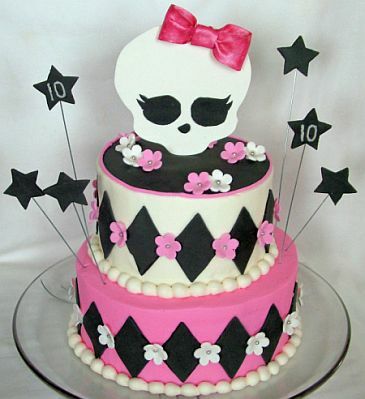 This birthday cake model of two floors, is decorated in white and pink, and has diamonds and stars in black, at the top is the Monster High skull, with its classic pink ribbon. 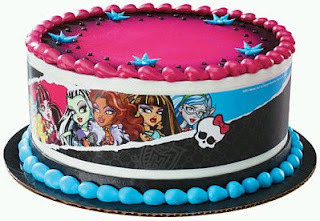 Another birthday cake with one floor, on the edge is the group's image Monster High. 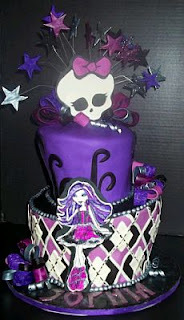 Cute birthday cake two floors, the first has a crisscross straps decorated and second, with purple background, has black stripes on the side there is a picture of a Monster High. 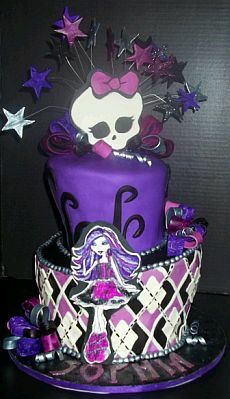 Another model of two floors decorated in black and purple, and in both, Monster High dolls. Finally, a two-floor model irregular shapes, the first is decorated with diamonds and secondly with black lines on a dwelling, at the top you have stars and the skull of Monster High, while the base is seen to one of the famous doll.